Coach shortages that have caused overcrowding on the commuter rail will persist until for a few more weeks, officials said Monday. The shortage of coaches that has caused overcrowding on the commuter rail will persist until mid-May, officials said Monday. 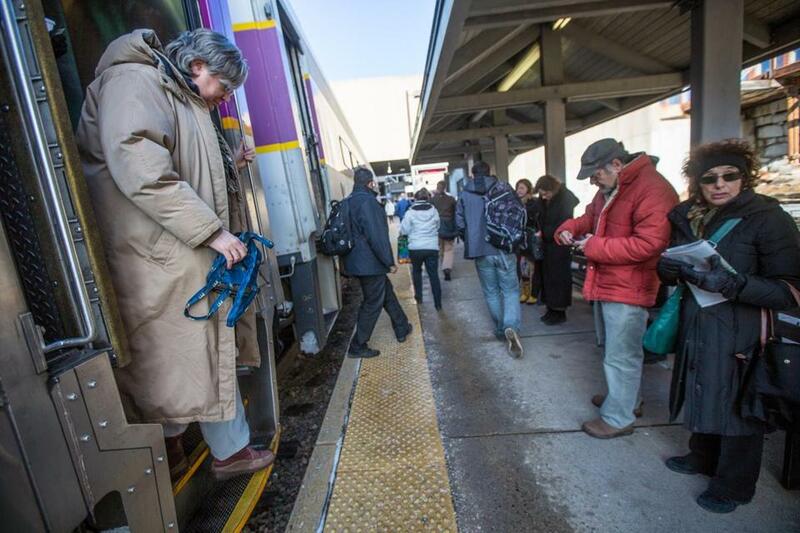 Keolis Commuter Services, which operates the commuter rail, has not provided the required number of coaches on weekday mornings since March 13, according to MBTA figures, although the number has increased of late. David Scorey, the company’s general manager, told the MBTA’s oversight board it will likely take about three more weeks to reach full capacity. “We’ve got a plan for the maintenance catch up,” Scorey told board members at their weekly meeting. Transit officials have blamed the shortage on a broken wheel repairing machine, which caused a maintenance backlog. But workers have also noticed that train wheels are sustaining more damage, Scorey said. Keolis is hiring new employees to plan for preventative maintenance, which has kept coaches and locomotives out of service when the company needs them most. They are also hiring a specialist to determine the reasons for the wheel damage, which has plagued many commuter rail coaches. The coach shortages come just as Keolis has seen improvements with its locomotive fleet, a persistent struggle in recent weeks. Mechanical problems with the locomotives caused a spate of cancellations in March and early April, but officials say just one train was canceled last week. As part of its $2.7 billion contract with the MBTA, Keolis is required to operate a certain number of locomotives and coaches each day. In March, that number was 362, and in April, it is 366. According to MBTA figures, Keolis has been unable to provide enough coaches every weekday since mid-March. At the end of March, Keolis was able to provide just 331 of the required 362 coaches on successive mornings, according to the MBTA figures. Figures from Keolis show more coaches were available throughout the day from April 3 to April 21, but the company was still not able to provide the required number of coaches every weekday in April. Steve Poftak, a board member who has raised questions about Keolis’s performance, said he will be monitoring Keolis’s progress closely. Keolis officials say service will improve as more equipment is made available, including old locomotives that have been refurbished. One is scheduled to go into service within the next few weeks. Scorey also said that the Boston Landing commuter rail stop, located next to the New Balance headquarters, will open by May 22. 362: Number of coaches Keolis was required to operate each day in March. 331: Number of coaches Keolis operated in the morning by end of March.